Bowlin Group is committed to maintaining the highest standards of workplace safety. Our Safety Program is built around the full support of management, enthusiastic employee participation and a mutual responsibility for safety that is shared throughout the organization. All of our employees hold the OSHA 10 Hour Card for Construction and Electrical Transmission and Distribution Work. Chris Cordrey joined the Company as Safety Director in June of 2015. Mr. Cordrey has over 25 years of construction experience, 20 years of which have been in Safety Management. As Safety Director, Mr. Cordrey provides support to management, crew leaders, field employees and business partners in managing safety and minimizing risk. Prior to joining the Bowlin Group, Mr. Cordrey was a Safety Director for Messer Construction Company, a billion dollar commercial building contractor headquartered in Cincinnati, OH. Additional experience includes working as the National Safety Manager for Tradesmen International, a commercial construction labor contractor, and Co-Owner of C&F Refrigeration, a commercial and residential heating and air contractor. 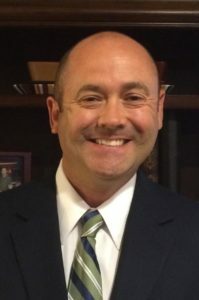 Mr. Cordrey completed his Bachelor of Science Degree in Safety Technology from Marshall University in 1995 and obtained a Certified Safety Professional (CSP) certification in 2011.